Are all those low-key online video downloaders not satisfying your whim anymore? With the arrival of hi-technology, screens are getting thinner, and video resolutions are going higher. There was a time when downloading a 720p video was exciting, but nowadays, even your smartphone streams 1080p videos like the charm. There are multiple programs available online, mostly Windows, Android and Mac based. Now, these are not gaudy or "geeky" but surely don't support any newer Ultra HD resolutions. Lucky for you, we're here with a new-gen tool to help you out in certain conditions. 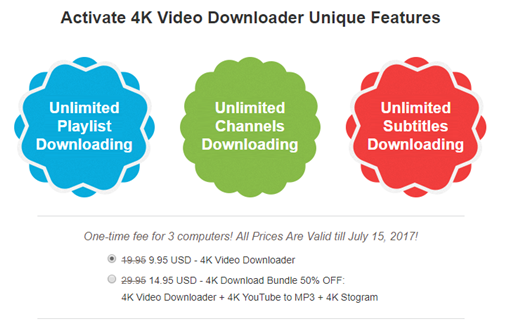 The 4K YouTube video downloader, as the name suggests is as simple as that. However, the support of this is not limited to YouTube only. It can download videos and audio files from Vimeo, Facebook, SoundCloud, Dailymotion, etc. It is definitely a handy tool for all the technophiles and shutterbugs to grasp and save 4K resolution (mostly 4096x2160 & 3840x2160) videos and 3D videos from the internet. So, without much ado, let's start the review of this 4K Video Downloader. How to download footage with 4K Video Downloader? By far, Vimeo has more than 7,000 4K videos on its UHD homeland and are you aware of how many 4K movies on YouTube? Me neither. But recently, some films produced by Warner and 20th Century Fox are available for streaming in 4K. And at the very least, there is a bevy of 4K videos all over the web, 4K movie trailers and MKBHD with his 8K resolutions in on another level on YouTube. However, YouTube allows video viewing on their site only. That's where the 4K Video Downloader kicks in. You can easily download the videos from the site and play it on whatever device you like in 2160p UHD, as long as it supports the resolution. After downloading the 4K Video Downloader, few ticks here and there, the installation would be done. Quick tip: - Before downloading a 4K video, please ensure that you have enough free space and close random process. It helps the download to increase the download speed. Go to YouTube or Vimeo's official site and search the 4K Video you want to download. Copy the Video URL and Paste it on the Tool's Screen. Select the Video format, 4K here, the format (MP4) and the saving location. Click on Download the button and Voila! It's done. Starting with the most important feature, the speed of this tool. To be honest, this software is a performance oriented one, and a crucial factor regarding using it. Since Internet data is not a problem in 2017, you wouldn't need to worry because 4K Videos are usually enormous in size. Moreover, the 4K Video Downloader makes the maximum use of configuration and the performance of user's hardware. Specifically, the tool is optimized for any CPU, whether you're using it on a Xeon, Dual Core, or an AMD Chip along with the RAM, and the architecture. In simple words, the more CPUs are taken over on the board, the faster the downloading speed goes. Another remarkable peculiarity is the handling for videos using the Multicast Technology, as it reduces the network bandwidth usage and indeed offers a great speed, not forgetting the fact that it's completely free. 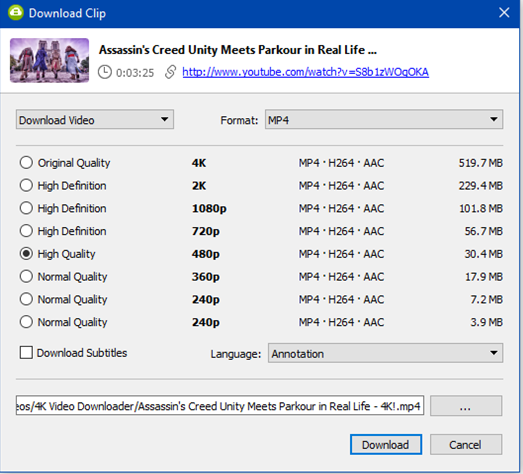 To get started with the software, I tried downloading a crazy stunt video in 4K, precisely the Assassin's Creeds Unity in Real Life by Devin Supertramp. It's an amazing one, do check it out if you want some 4K magic. What more can you ask from a software if you're able to use it efficiently even for the first time. The 4K Video Downloader features a very minimal and user-friendly interface for all the users. I installed it on my system based on Windows 10 Pro, and it took seconds for the installation. The moment I launched the tool, I was astonished to see the minimalistic design of the software. No Toolbars, No Popup ads or whatsoever, just a small window waiting for you to add the link to the video source. The 4K Video Downloader is not just limited to 2160p resolution. It also supports for Full HD 1080p, 720p, and lower videos with the extension to 60 fps as well. 360 Videos and the 3D videos are also supported by this tool exclusively. 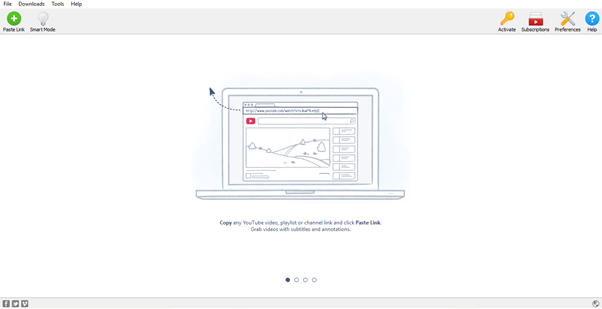 Now, you can download MP4, MKV, M4A, FLV and WebM video formats provided in YouTube. You can also download the audio only format in MP3, in case you're looking for podcasts, etc. The downloaded video does not lack regarding quality, and you can stream them on whichever device like HDTV, iPad or simply your Android smartphone. The software is cross-platform and is available for Windows, Mac or Linux without any cost. You can download the 4K Video Downloader directly from its official site. The free version is just limited to 25 4K videos and offers some exclusive premium features like unlimited playlist downloading and much more for a little license fee. It is currently available for a discounted price of 9.95$. You can get more information on the website. Do share your thoughts and let me know if you liked this software or not in the comment section below. Cheers!